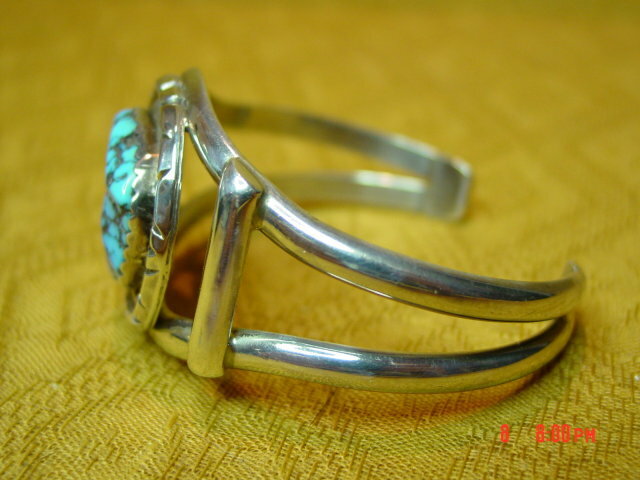 Sterling silver cuff bracelet with a chunk of turquoise measuring approx. 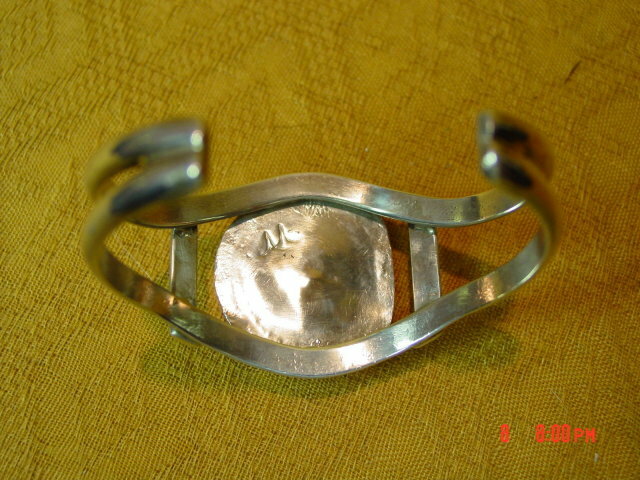 2cm round mounted in the center. It weighs 53.7 gms and is signed with what looks like an M or two upside down V's on the bottom. 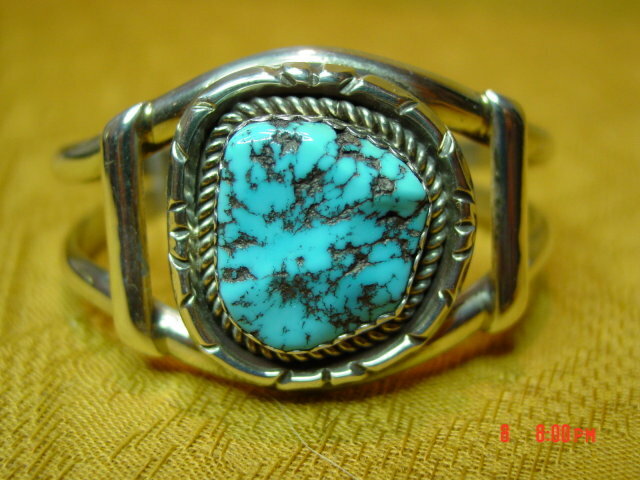 Beautiful piece! 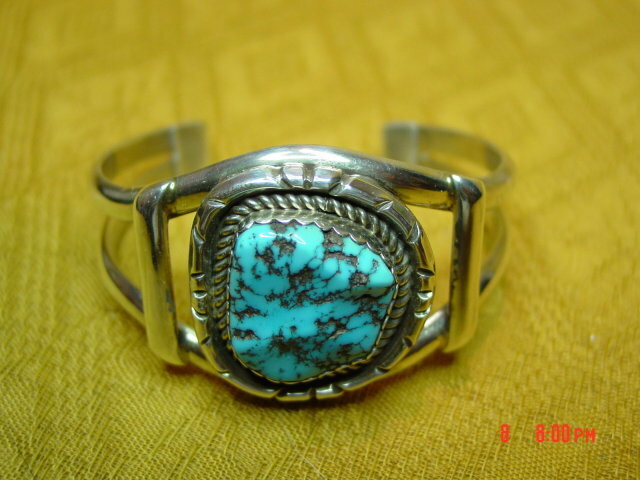 Items Similar To "Signed Sterling Silver & Turquoise Cuff Bracelet"